Tied Houses are pubs that are required to buy at least some of its beer and other products and services from a particular brewery or pub company, as opposed to a free house that can buy its products and services from wherever they want. The people that run tied houses are tenants as their own business but they have to buy certain items through the brewery. These agreements used to be a fairly cheap way to get to own your own pub business and as long as you didn’t break the tie they were traditionally long-term agreements and in some cases, tenancies were passed on from generation to generation. A report for the UK government described the tied pub system as one of the most inter‐woven industrial relationships you can identify in the UK, with multiple streams of payments running in both directions, from the pub tenant to the pubco and vice versa, generally negotiated on a pub‐by‐pub basis. The pub itself is owned by the brewery or pub company, with the publican renting the pub from the brewery or pub company, as part of a tenancy agreement. The traditional advantage of tied houses for breweries was the steadiness of demand they gave them; a tied house would not change its beer supplier suddenly so the brewer had a consistent market for its beer production. There were examples where the brewery attached the pub to a farm to guarantee the supply of grain for its brewery, so the tenant was a farmer by day a publican by night. On the positive side, regional brewers treated their tied houses as shop windows. A brewing family could travel around their estate and know the landlords, the locals and they would know the issues in individual pubs. Landlords seemed able to make a living and the regional brewers would invest in the pubs ensuring they remained popular with consumers and sold more products as a result. A regional brewer could tie nearly every pub in an area so that it becomes hard to drink anything but the particular brewers' beer, this being the case in the area where Greenall Whitley was the dominant local brewer. This situation led to the beer orders in 1989 where regional brewers were obliged to divest themselves of 14,000 pubs. But the unforeseen impact of this regulation meant that some like Samuel Smiths turned their whole estate into a managed estate and brewers like Greenall Whitley decided that the future lay in the retail estate not brewing beer and closed their brewery which is now a Morrison’s superstore and a block of flats in the old brewery buildings. The tie evolved from one where some of the beer and spirits had to be bought through a brewery to nearly all products and services being purchased through the brewery at a margin, the fruit machine income, soft drinks and wine. Even the food offering, which used to be a bonus for hard-working tenants had to come from the brewery. Tenant margins have shrunk and as these margins shrink the investment into the pubs has also seemed to reduce. The big pub companies who do not brew beer, Punch and Enterprise, in particular, took a lot of value out of their estate through utilising their buying power, grew the estates with borrowed money and offered little practical help to hard-pressed tenants. The Forum of Private Business feels there needs to be some differentiation in the mind of government between regional brewer estates and purely retail estates. 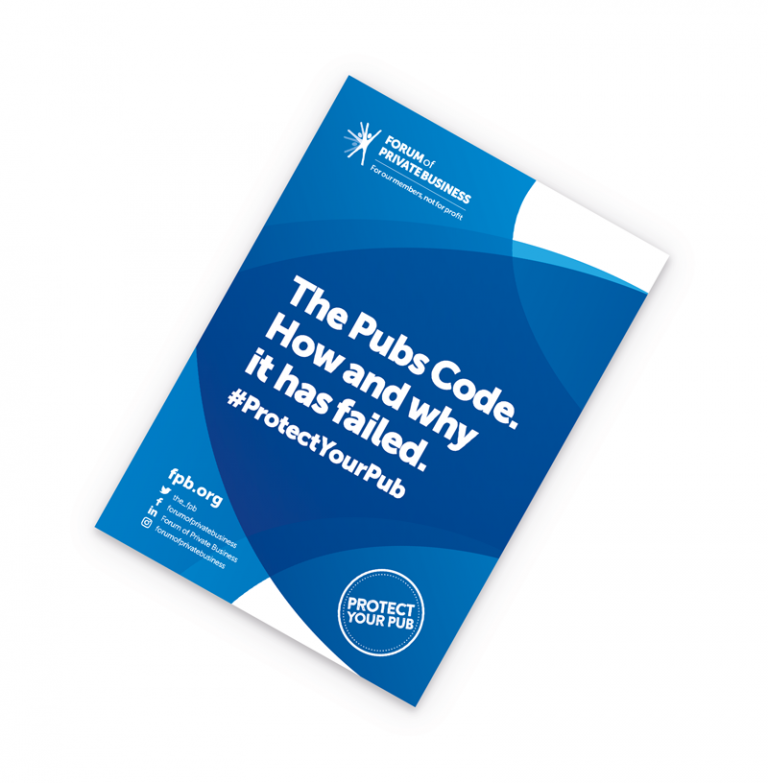 The crash in 2008 hit the pubco’s hard, Punch taverns at that time were worth £500million but had £3.5billion in debt, so while there have been some changes in the attitude of pub companies, a modern approach to the tenanted estate needs to be developed and the likes of Punch and Enterprise should be treated for what they are property owning landlords.